← Cheap flights from Switzerland to Kuala Lumpur (Malaysia) from only €347 (round-trip)! It’s not every day you see flights to China at prices like these! At the moment you can book very cheap flights from Warsaw (Poland) to Nanchang (China) with KLM & China Eastern Airlines for only € 249 both ways. Note: This is a partner sale, so you must book for 2 persons to get this price. KLM & China Eastern Airlines are member of the SkyTeam Alliance. Also hand baggage, 23 kg Checked baggage and meals are included! The cheapest flights can be found in May and June. Nanchang is the capital of Jiangxi Province in southeastern China. Nanchang is the largest city in Jiangxi Province. 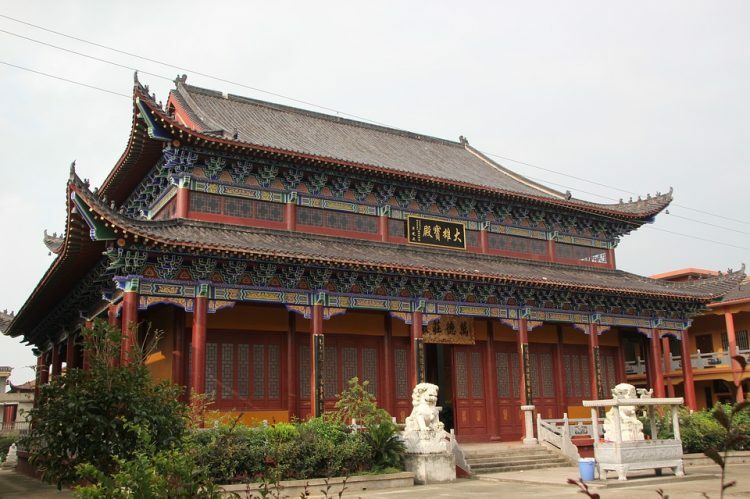 Nanchang is located in the central part of Jiangxi Province, with a history of more than 2,200 years. Nanchang is located in inland southeastern China, 130 km (81 mi) south of the Yangtze River and is situated on the right bank of the Gan River just below its confluence with the Jin River and some 40 km (25 mi) southwest of its discharge into Poyang Lake. Note: The people of Nanchang are very loud. Westerners see them as yelling at one another, perhaps even aggressive.